Sometimes, while reading a good book, like I am now, I will also be reading something I have read in the past. It is usually completely unconnected to the book I am currently reading, but it is always a book that has had a profound effect upon me. 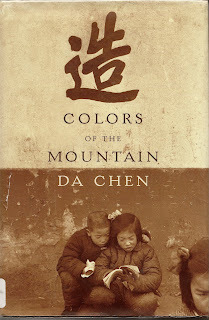 "Colors of the Mountain", Da Chen's beautiful memoir of growing up in Communist China, is that sort of book. Born in 1962 to a family of former landowners, which was a crime in itself, the young Da Chen is beaten at school and ridiculed wherever he goes. He is the top student in his classes, but due to his grandparents having once owned land, he is repeatedly denied a higher education. The family endures all the deprivations of Red China under Chairman Mao. Rotten food, bad medicine and a lack of justice are the most obvious symptons that plagued the country at the time. But what about the soul of a young boy who yearns to become more? What happens to the human soul when hope is always just out of reach? And when that hope is denied in an official capacity, what can one person do to alleviate the obviously flawed and cruel system? These are the questions that confront young Mr. Chen as he grows up during the Cultural Revolution, a period in which he sees his grandfather publicly disgraced for having once owned land, as well as seeing his father jailed for having a University degree. 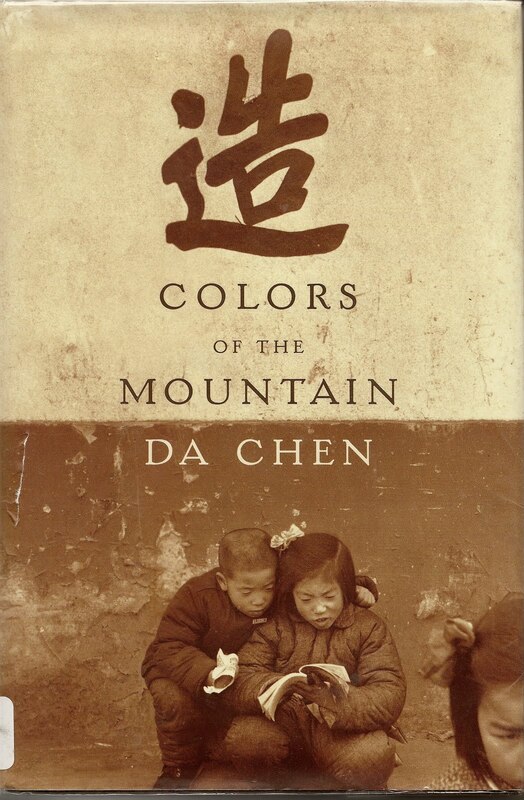 While some would surely give up under such treatment, Da Chen passes the countries University entrance exams in 1977, at the age of 14, scoring in the top 2%. He can no longer be ignored. He is now on a path that will not only bring to fruition his dream of attending Beijing Language Institute, where he eventually graduates with the highest honors, but will open up a whole new world for him. Meanwhile, his father managed to work his way out of the labor camps by utilizing his own skills as an acupuncturist. He delighted in using the largest, and most painful needles, on the Communist Cadre members who had made his life a living hell for so many years. Mr. Chen winds up his academic career in New York, at Columbia Law School, on a full scholarship. From there he lands a job on Wall Street. He lives today in the Hudson Valley area of New York with his wife and family. He is a noted brush calligrapher, specializing in spiritual design. He also plays classical bamboo flute. When you compare Da Chen's remarkable life to the recent rumblings about China's democracy activist Liu Xiaobo accepting the Nobel Peace Prize, you have to wonder how much she has really changed. We have embraced freedom of trade with China, perhaps it is now time for China to embrace freedom of thought with her own people.